OK, to be fair, John Heath would probably be disappointed to hear someone call him a ‘frat boy.’ In fact, he only started a social club because the other ones had too much fun. However, Heath was the first American to create a fraternity in the Greek tradition currently common on college campuses. Although Heath’s original organization had significantly different goals than we might expect today, many of it’s traditions live on in institutions of higher learning throughout the United States. By December 1776, several fraternal organizations had been established at the few universities which existed throughout the upstart United States. 18-year-old student John Heath, suddenly living in a new nation, decided it was time for a new type of campus society. Heath assembled five other students and they created Phi Beta Kappa…the first Greek Fraternity in the United States. Most of the preexisting fraternities in America had Latin names (the rest were in English). By the time Heath arrived at the College of William and Mary, most of these organizations had become known more for their socializing than discussions of philosophy. John decided to found an fraternity whose purpose was to practice debate and oratory, while freeing its members to discuss any topic they desired regardless of its relevance to the current curriculum. 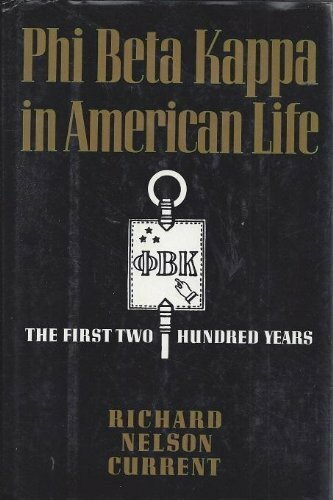 Phi Beta Kappa contributed much more to modern Greek Life than just using the ancient alphabet as the name. Heath and his cohorts established a seal, a motto and even a secret handshake. Additionally, they had some form of initiation. As this was kept quiet by the members, it is impossible to know what the initiation consisted of, though it is doubtful there was any substantial hazing based on the character of the original brothers. Soon after Phi Beta Kappa’s creation, charters were given to establish branches at Yale and Harvard and within a decade Dartmouth also had a chapter. This created the tradition of nationally organized fraternities. As for John Heath, he would graduate from William and Mary to have a fulfilling career in law. In his mid-20’s he became a District Attorney for Northumberland County, Virginia. Afterward, he was elected to the third session of the United States Congress as a Democratic-Republican. Heath kept up a vigorous correspondence with his friend James Madison, notably during the early years of the Jefferson Administration. Heath was appointed to the Virginia Council of State, which acted as the Governor’s Cabinet, a position he held for the final seven years of his life. What to get mad at me by learning which other Loyalists I consider Founders? Want to learn more about Phi Beta Kappa? ‘The First Two Hundred Years’ tell the fraternity’s story, from the exposure of its secrets in response to Anti-Masonic sentiment to its transformation into an honor society. Pick up a copy through the Amazon affiliate link below (you’ll support this site, but don’t worry, Amazon pays me while your price stays the same).